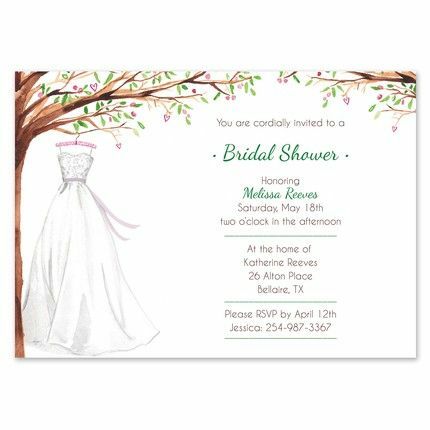 </ul A beautiful wedding dress hangs delicately from a watercolor tree on the left side of the card. Pink flowers on the tree are in the shape of hearts for an extra touch of fun. Add your personalized text to complete the look.